CLUTCH TIME! should I get this one?? This lude is my DD, I dont dog it so I dont need any outrageously advanced clutch kit. I am wonder is it worth it for a DD to get a stage 1 organic? (link2 below) or just get the regular old OE replacement exedy clutch kit for 100 dollars less(link 1 below)? Re: CLUTCH TIME! should I get this one?? might as well get the better one imo. so then you won't have to upgrade it later on down the road in case you wanted to. I found the stock one too soft personally; but this is personal preference. But as above, I'd go with the Stage 1 just in case you decide you need to later. I've never heard of aluminium flywheels being a problem...in any application. I'd like to know how their durability is a problem. Also, the clutch and flywheel won't neccessarily make more power; however they will facilitate more. yea thats what I meant. not HP lol I appreciate your help man. I think i will go with the stage 1 and fidanza aluminum flywheel. for 380 its not bad! I would just buy the clutch and flywheel combo, You will save alot of money and get them both in one. I got a stage two f1 racing clutch and an 8lb fisanza flywheel for like 260 somethin shipped. I think I want exedy. I love the company and had a good experience with them. how do you like the setup?? Whatever you pick. I got an ACT 6 puck, for a DD it's pretty annoying. Stiff clutch. There is a bunch of package setups on ebay. And you can get an exedy clutch with a fidanza flywheel together. i know I have seen the package many a time. 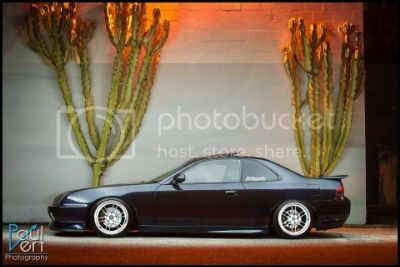 I havnt got my lude running yet but I know i will like it cuz i had the same setup on another car. It is what I learned to drive stick on so it will be going back to my roots. For people who arent used to it then it will take some getting used to the lightened flywheel. I like the setup. That's the exact setup I'll be putting in my car shortly. Exedy stage 1 clutch with a Fidanza 8lb. flywheel. Then again, if they're worried about durability under stress, why wold they tell you to go with a OEM clutch? Some people just don't seem to think logically. I mean, it really wouldn't make a difference what you get, as you aren't pushing enough power to have to worry about it, and it doesn't sound like you're going to be redlining it all the time. I'm just saying their logic is a tad flawed. But I digress, as far as the difference between stage 1 and OEM, there probably isn't much. The stage 1 is probably going to be a bit stiffer and grab a bit harder, as it has stronger springs and more clamping force. As far as durability, it depends on whether or not you beat on it. Honestly I think it comes down to feel, unless your car is more powerful than stock or you plan on making it so, in that case you may want to run the stage 1 to handle the extra load. Nah, stage 1 and OEM are different. But not by much. A stage 1 is just a basic aftermarket street clutch, but it is a bit beefier than OEM replacement. If you notice up there he has two clutches listed, an Exedy OEM replacement and an Exedy Stage 1. They are different, but as stated, not by much. I believe they are both made out of organic friction material, so the only real difference I can see is that the stage 1 might have bigger springs or something along those lines. I'd have to research it a bit more to be sure. The Exedy Stage 1 is a niiiice clutch. I had it in my H22A powered CD5 Accord. It was beefy and grabby without being harsh. It was a little bit stiffer than stock, but not enough to be a pain in traffic. look at centerforce as well. ive got one of their stage 2's in my car its great. their pressure plates are from exedy. also if its a dd id keep the stock weight flywheel. my friends prelude had an 8 pound flywheel you couldnt feel the torque at all. THANK YOU GUYS FOR HELPING ME OUT! I decided to take the majority of the advice and get the Exedy Stage 1 Organic with an 8lb fidanza flywheel and also bought a damn strut mount I needed too! thanks again guys I always appreciate your advice, help and input when I have questions! although it seems as if you decided on the flywheel already. For a daily driver, going with the 8lb flywheel will change the car significantly. My post here is purely for reference for others or later down the road. I really want to keep the explanation short and simple. I also want to input my experiences over the years with motors, and I have alot of them. Ok. we installed the 8lb flywheel and remove the ~22.5lb stock flywheel. We have reduced the rotational mass of the motor by ~15lbs. We havent changed the Force the motor outputs at all. As stated earlier, a lightweight flywheel does not increase HP. So, we have made the mass smaller and that makes the acceleration larger. Correct? Awesome news. Increasing the motors ability to accelerate sounds like the ticket! But, if thats the case... why the complex post? Key word here is ability. The motor will accelerate faster... And decelerate faster! But, does that make the car faster? Not really in the way I'd like (yes, the weight reduction does). Even though the motor will accelerate faster, this doesnt give the motor more power. More power is going to make your car accelerate faster. Who cares if the motor accelerates faster if it doesnt do anything for the car? Make sense and not overly cumbersome? The underlying problem with a lightweight flywheel is the things it does and doesnt do. Its the common misconceptions of making your car faster, when it only makes the motor accelerate and decelerate faster. Deceleration is the whole reason I'd rather not daily drive with a super light flywheel. Once the motor is out of gear, it slows down much faster. That doesnt slow the car down, just the motor. Ok, so what? Well... The motor slows down and shifting into another gear can be a pain. Typically, when shifting the motor slows down just a bit and goes easily into the next gear because the transmission speeds and car speed were designed to work together. It eliminates alot of the need for rev matching and being a really good driver. A lightweight flywheel causes the motor to slow down faster, and in most of my experiences you spend alot more effort rev matching than you had ever planned on with a daily driver. Shifting up a gear seems to be more like shifting down a gear with a lightweight flywheel. Sure, you do get used to it and the extra effort it requires to smooth out changes acquired with a lightweight flywheel. But, do you really wanna go through all of that effort and headache for such little gains? It honestly completely changes the drivability of the car. My opinion is: On a daily driver, avoid the lightweight flywheel. And, if you wanna 'upgrade'.. Consider a small mass drop rather than a large one. 8.5lb flywheel is nuts and 100% noticable. Ask around and decide if you want to change the way your car drives around for a small benefit. Do I own a lightweight flywheel? YES. Ive owned a few and have put many into cars as well. After all of my experiences with them, I'd use one in a race car or I would try to get one in the 15-18lb range if I wanted one. Reduced weight, less driving differences. My 3rd gen prelude actually has ~48lbs taken off from the stock rotating assembly. Does it drive differently? YEA... 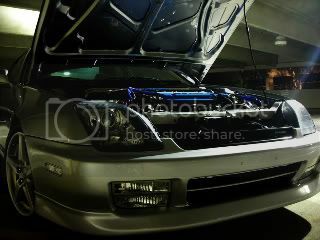 But, its a 600whp race car with a twin disc clutch. It revs like a motor cycle... UP and down... Its not something I like to daily drive in traffic. For the clutch: The stiffness of the stage 1 is nice. a little bit stiffer of clutch feels good and is something you adjust to very quickly. I tell you what, I'll trade you my Findanza 8lb flywheel and the findanza kevlar four puck clutch for your RSX Type S 17" wheels and tires. I have them brand new still in original boxes. sorry thats not enough for me to trade even if I wanted to rob. your wheels look good anyway! Those aren't my wheels I only borrowed them from my brother, I have the O4 RSX type S 16" wheels, I just wrapped them w/ 205 55R 16 Michelin MXv4s they are great, never had as much traction from any other tire in my life. I guess they should because the tires alone were $800. But seriously I have been looking for the 17" factory 06 RSX type S wheels I think they were made by Enkei? Anyhow nice wheels. I was just kidding about the trade, because I'm actually in need of replacing my clutch very soon, now once I get my new slave cylinder steel braided hose, then I'll have all my parts I need to install, but school started already so I don't have the time, but I did find a great Honda Mechanic over in Bedford, VA thats going to do it for $250. I've stopped by their shop and they know what they are doing, they have about 15 hondas on their lot everyone from civics to preludes, CRXs, accords, everything and they specialize in motor swaps and builds. Again nice wheels I'll find mine someday, I thought I would even put up my 16" RSX wheels with the michelins and a little cash depending on condition cause mine are in mint and the tires only have 1500 miles on them.